Model resin for accurate reproduction and maximum edge stability. 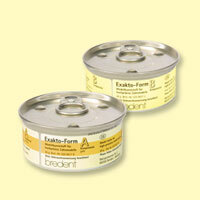 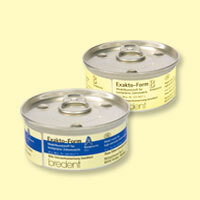 Exakto-form is available in five different shades and two sizes. The 50g tins are used to produce a full model, whereas the 20g tins will produce a full arch.